Euro Headlight Info for glass, reflector, and bulbs, possibly more. If there isn't a place for your question then put it here. Replacement parts for Euro Lights. Does anyone know what the part numbers are for the Glass, reflectors, and light bulbs? Edit: I will update this thread as I keep finding more information. If anyone has more info as well it is greatly appreciated! Last edited by GT_Indy on Mon Jul 09, 2018 2:31 pm, edited 2 times in total. Re: Euro Headlight Info for glass, reflector, and bulbs? The bulbs are a 9003 / H4. The glass and reflector are one piece and are specific to GM. The only new options available are the LMC lights or the H4701/H4703 DOT equivalent lights. I've been looking into this some more, I believe the 1991 Blazer Might also use these H4701/H4703 lamps. I'm wondering if the 2002 trans am headlight assembly can be used for parts for our euro lights. Looks like they take H7 Bulbs. I used the lens from LMC. They use the factory 9006 and 9005 bulbs. Those look nice! What is LMC? I might keep that as an option in the future. Do you have a part number for those? Even if I don't try them my goal is to have all the part numbers in one thread to make it easy to find everything. I bought the Trans am capsules (They are glass/metal), I'll see how they work for the euro lights when they arrive. 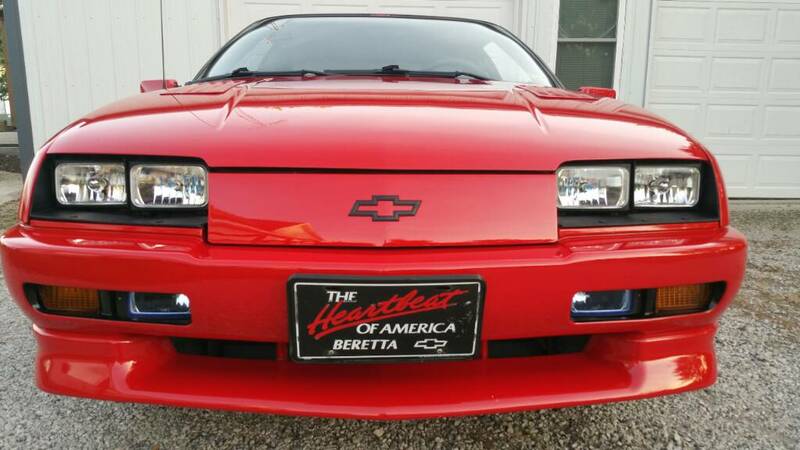 I also own an 02 trans am so it won't be that bad if it doesn't work for my Beretta euro lights, I can always upgrade my T/A to the H7 capsules. I like the H7's because I can run some high watt bulbs in all 4 housings, but I only bought 100 watt bulbs for now. I will report back if what I'm trying works or not in case others want to try. LMC truck. Lens are for early 90's Chevy trucks without the composite headlights. Fit perfectly, I have led bulbs and they are very bright. Nicjensen wrote: LMC truck. Lens are for early 90's Chevy trucks without the composite headlights. Fit perfectly, I have led bulbs and they are very bright. Yah I was thinking of LED but decided to go with super bright zenon 6k bulbs, 100 watts each, I got 6 for like 15 dollars. I know what you mean, I can find photos of trucks with the lights but I'm finding the 6x4 and larger lamps mostly, I'll try to get a part number for the LMC's later when I have more time. I found some super bright pre-molded LED lamps with H4 plugs that were smaller but still overall dimensions were still a bit to big each way. I'll keep a lookout for more options for us. I found that the H4703 and H4701 match the 36-0263 and 36-0262 numbers. However they look like sealed beams in the photos. This may be another option if any members are interested. The ones I found on ebay should be the H7 capsule versions of these. I'm still waiting on shipping to find out how they work. The H7 capsules work, they arrived today. The only downfall is the clip on the capsul is bigger than the opening in the back piece. So If I want to change a bulb I have to remove the capsule from the front. They are glass. And look to be well made. I took photos of them with the euro light for comparison.